For professional and prompt gas services or installations, Everlast Plumbing are the plumbers to call. Gas installations and maintenance should always be handled by professional, qualified plumbers and the team at Everlast Plumbing are the right team for your job. We are fully licensed gas fitters, insured and qualified to handle all of your gas requirements, no matter how big or small. When it comes to gas, natural gas or LPG – we can do it all. Our rapid response team are on call for any gas emergencies 24 hours, 7 days a week. Commercial and residential gas installations and maintenance. 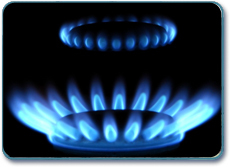 Gas hot water system repairs and installations. Gas appliance installations and connections for heaters, stoves, ovens etc. Gas pipe installations and maintenance. Gas meter installations and relocations. Gas leak detection and repairs.